FORT WAYNE, Ind. - In 49 states, it&apos;s just basketball. But this is Indiana. One of the top Midwest AAU basketball tournaments, the Gym Rats Memorial Day Run N Slam, returns to Spiece Fieldhouse and several local high school gyms this weekend in Fort Wayne. From May 27-29, 228 teams and thousands of prep basketball players will compete in head-to-head competition. Tournament action tips-off on Friday morning at Spiece Fieldhouse. The three-day tournament will bring in 8,500 players, coaches, parents and fans, and generate $2.1 million dollars in direct economic impact. The month of May is a busy time for Gym Rats Basketball. In addition to the Memorial Day Run N Slam, the organization plays hosts to the Bill Hensley Memorial Run-N-Slam All Star Classic, Hoopin N the Summit, Lady Gym Rats Invitational and GRBA State Championship. For game times and tournament information, go to gymratsbasketball.com or contact Visit Fort Wayne President/CEO Dan O&apos;Connell at (260) 424-3700. 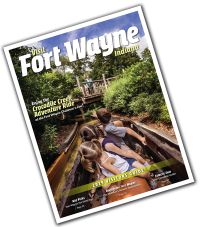 Visit Fort Wayne, The Fort Wayne/Allen County Convention and Visitors Bureau, is the nonprofit organization whose purpose is to expand Fort Wayne&apos;s economy by attracting convention and leisure visitors. Each year, millions of dollars from visitor spending generate increased commerce, sustained jobs and enhancement of Fort Wayne&apos;s image.